Their work was top-secret and so they weren’t part of the “Rosie the Riveter”-style propaganda at the time. Post-World War II disinterest in women’s accomplishments allowed their stories to remain untold. Via BoingBoing, photos from CNN. See also our post on the feminist mythology surrounding the iconic “Rosie the Riveter” image (hint: it was about class, not gender). And you can buy Jean Jennings Bartik book, Pioneer Programmer, here. As a mathematician, I'd like to point out that the calculations carried out by hand by these ladies are really huge and complex. I read about these women in my university's newsletter, and they all had, what would now be, at least a masters degree. People now a days find it funny to check the computer's work, but it's often a smart move to do it from time to time, due to roundoff errors, truncation errors and such. Especially when working with differentials and approximations to complex functions. So girls, when guys says "girls can't do maths/computers/science in general", tell them to shut up. 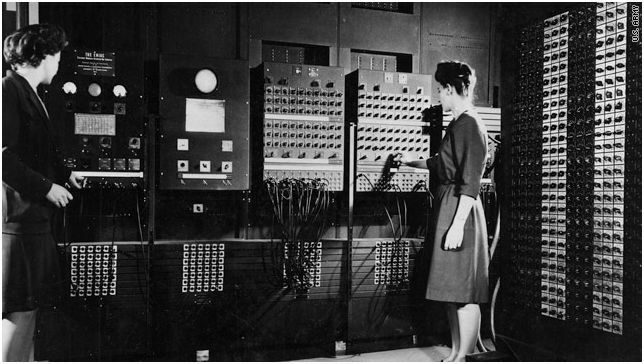 These womens were the first computers, and the math carried out is really complex. I bet the guys telling you "girls can't do math" can't do anything near what these women do. It is taught at my local University, but we generally don't do it by hand any more, and especially not with more complex functions than easy fourier-series and such. Wich is WAY below what these women did. My husband posted this story to Drupalchix :) -- I have to say it was such a (pleasant) surprise to a decent article on CNN. Anyone interested in the topic should definitely read about Grace Hopper! I can't find it now, but I once saw a picture of the U.S. Army's "Computer Room" (seriously, that's what the sign said on the door) from the First World War. 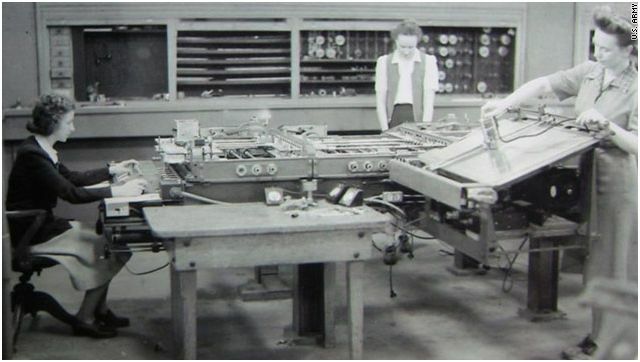 Hundreds of young women (and, IIRC, one man) lined up at adding machines, with uniformed boys to pass the output of one calculation to the input of the next. 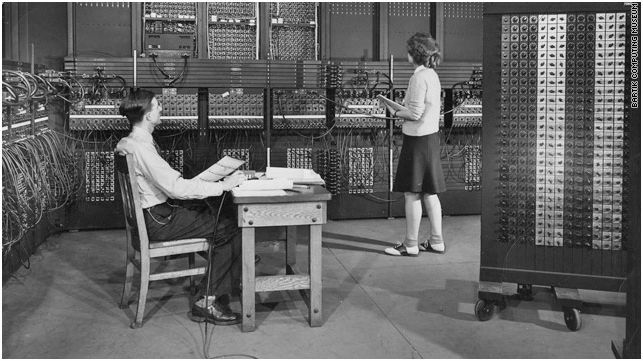 When the first electronic computers came online in the late 40s, all the computer operators were women, because they had the most practical experience with processing data and crunching numbers. It wasn't until the 1960s (when my Dad got involved) that working with computers was regendered as "men's work." While they were definitely blue-collar workers, the "Calutron girls" of the Manhattan Project outproduced their more highly-educated male coworkers. They're another interesting part of the spectrum of women workers in the WWII war effort. While the quickest internet source I've found for this story is in the Wikipedia entry on the Calutron, it cites The Road to Trinity by Ken Nichols. For the sake of completeness, an earlier (and scientifically outstanding) example of women computers was the charmingly nicknamed Pickering's Harem, a group of initially unskilled women hired to visually process astronomy photographic plates. The women went on to develop a classification of stars by spectral characteristics and discover the period-luminosity relation of Cepheid variable stars, besides discovering an astounding number of astronomical objects. We have a History Club at our condo in St James - we meet once a month. Our leader (a retired history teacher) told us about the "ROSIES OF WW II). We were all inspired by their work. Too bad they hav'nt gotten more recognition. Let's hope future women's contributions do not get overlooked.